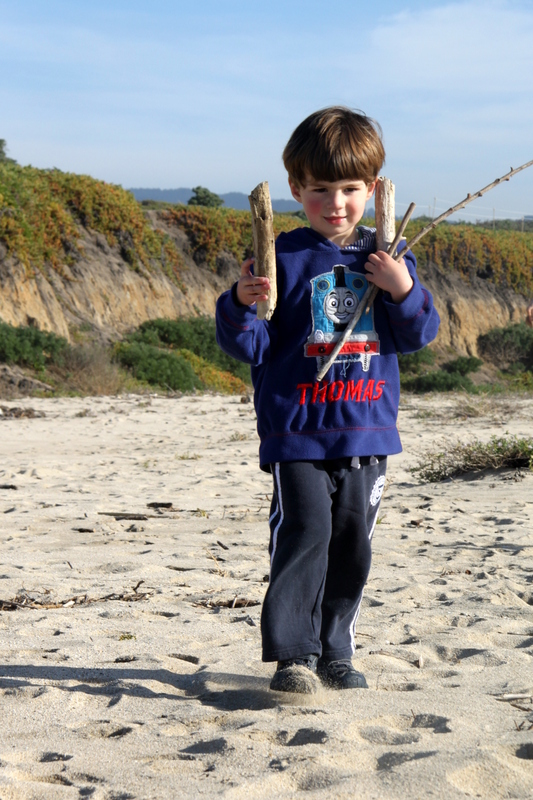 I’ve written before about how much fun our kids have on Negative Tide Day at Half Moon Bay’s Fitzgerald Marine Reserve — see here — but this year we decided to do a Negative Tide Day from the ‘other end’, from Seal Cove, and it was even better. You can still reach the whole FMR by walking along the beach at low tide but there are several advantages of starting at Seal Cove. First, parking is much easier–you’ll find plentiful space on the streets around the cove off Cypress Avenue even on the busiest morning. Second, the tide pools at Seal Cove are a little less crowded with fewer teenagers running about manhandling the sea animals. And third, the beach at Seal Cove is far nicer. The main Fitzgerald Marine Reserve beach is small and, at this time of year, partially closed for the resident seal colony (which, incidentally, is the biggest its been in years and worth checking out). At Seal Cove you’ll find empty golden sands, a relatively small wave swell and lots of interesting rocks and sea shells. 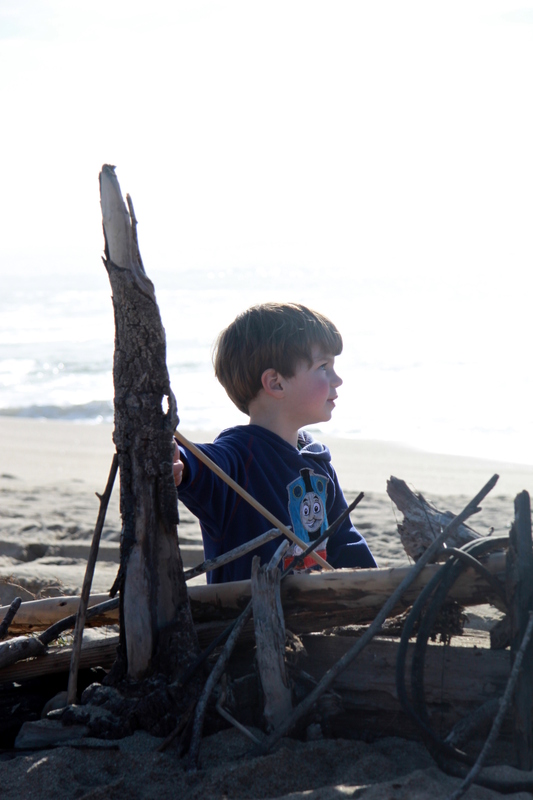 It’s perfect for toddlers, although you should note that it’s most definitely a beach to visit at low tide, there are steep steps down to the sand, and there are no restrooms or other amenities. 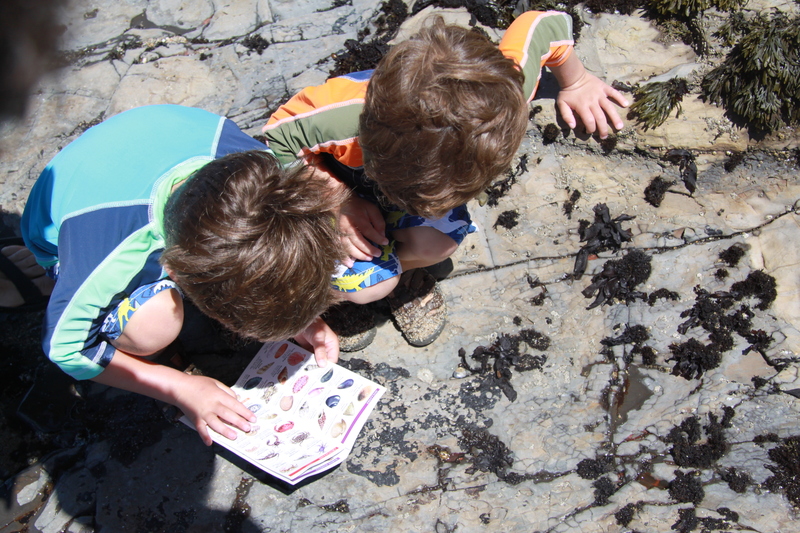 Our kids enjoyed the tide pools more than ever this year partly, I think, because they knew what to expect but partly because we’d found some perfect laminated toddler guides to Half Moon Bay’s sea life (see here if you’re interested). The boys really got a kick out identifying the various creatures they found. 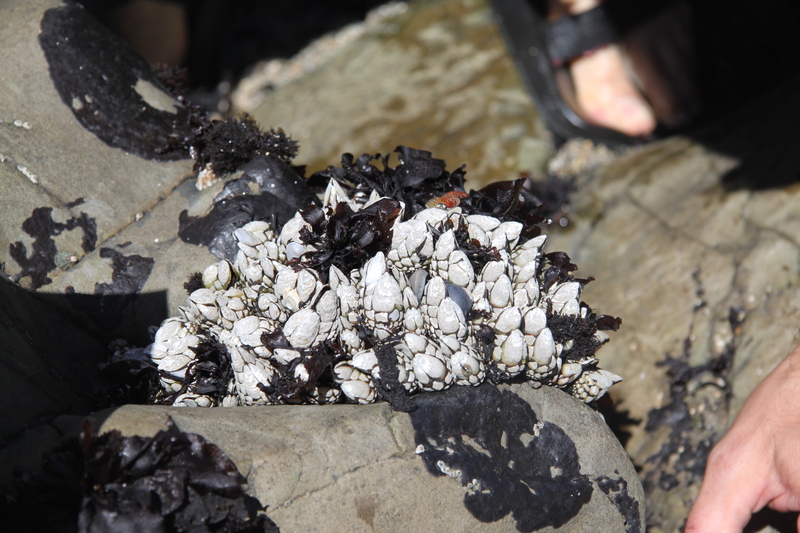 It was a great way for them to engage with the tide pool creatures without touching them. 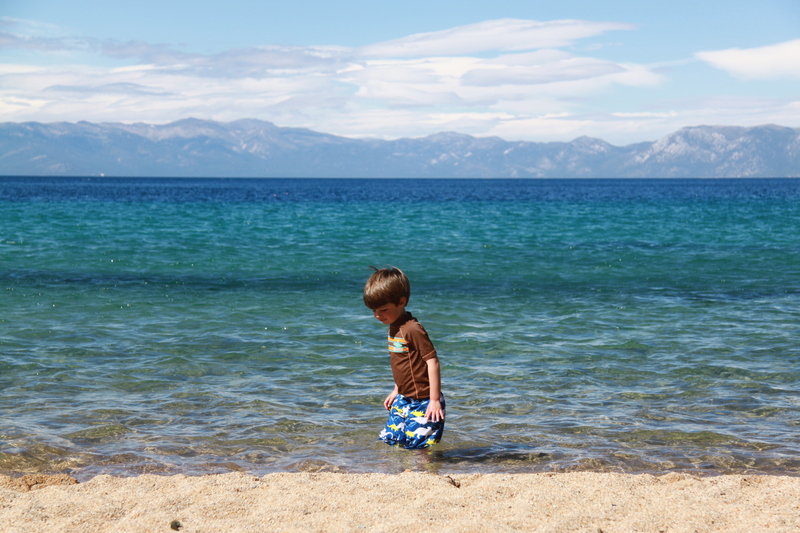 This weekend we drove up to D L Bliss State Park on the South Lake Tahoe shoreline just north of Emerald Bay for a spot of camping. This beautiful and popular state park offers it all: camping, beach access, incredible views of the lake, and some great day hikes. It’s also rather sprawling with 4 camping ‘loops’ which vary greatly in character. The sites near the beach have amazing views but are small, close together, and lacking privacy. The sites higher up the hillside in the woods are larger and more private, some backing onto the wilderness to the extent they almost qualify as ‘walk-in’ sites. If you value quiet and privacy (as we do) I’d recommend the Ridge Campground (sites 91-114) and Pines Campground (sites 1-90). The park has good, if old, facilities with plentiful toilet and shower blocks in each loop (bring quarters). I had heard that guests at the park frequently encounter bears, but we didn’t see any (sadly) and each site comes with a huge bear box which minimises the chance of attracting wildlife. 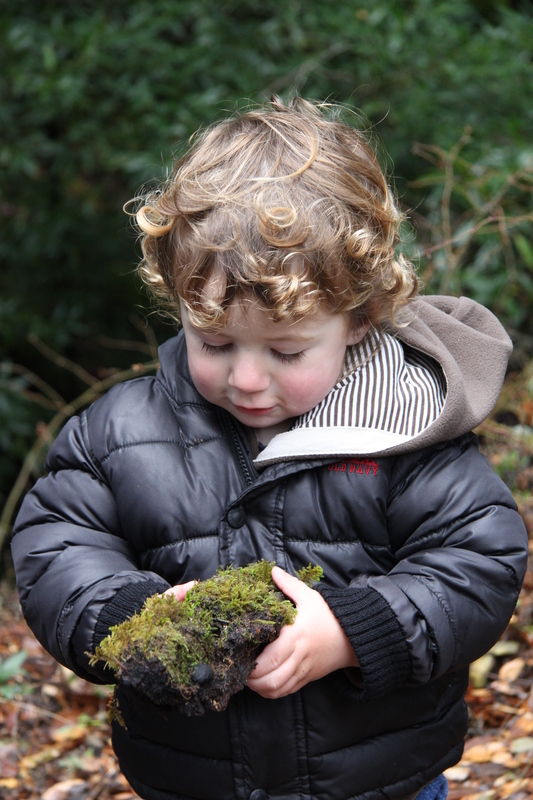 There were lots of chipmunks and giant pinecones which the kids loved however. 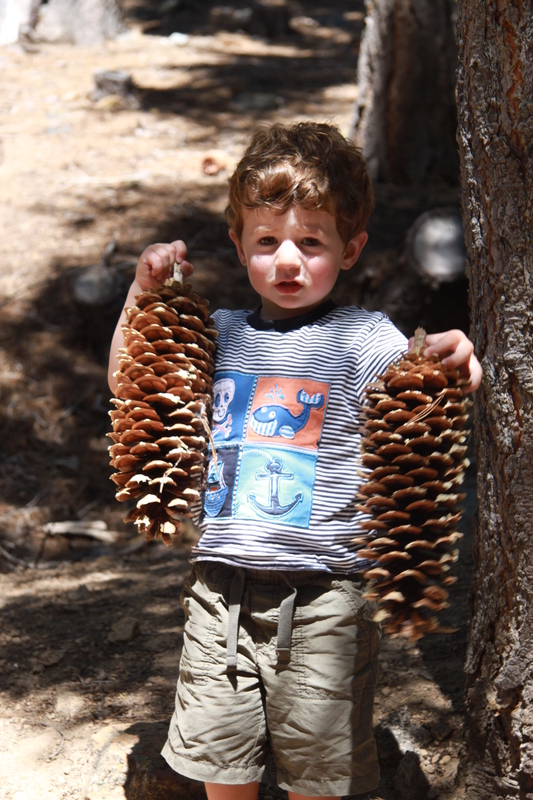 Get a load of these pinecones Mom! 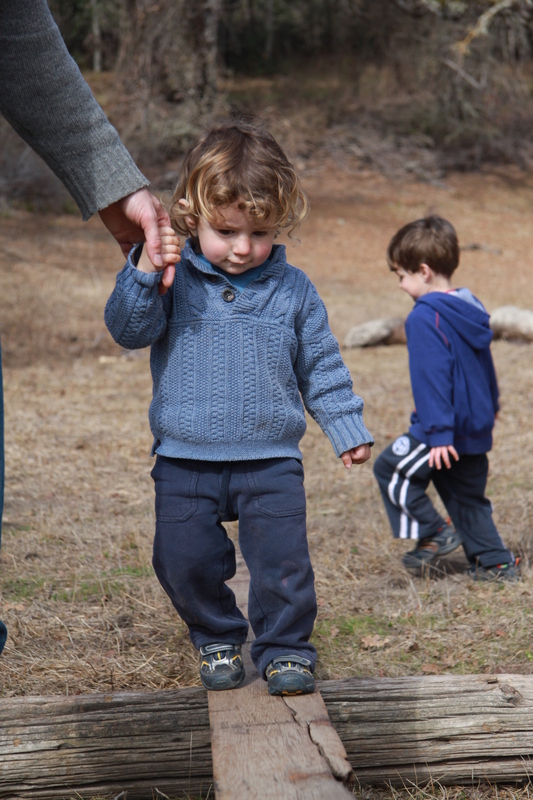 This is the shortest, most toddler-friendly trek in the park. 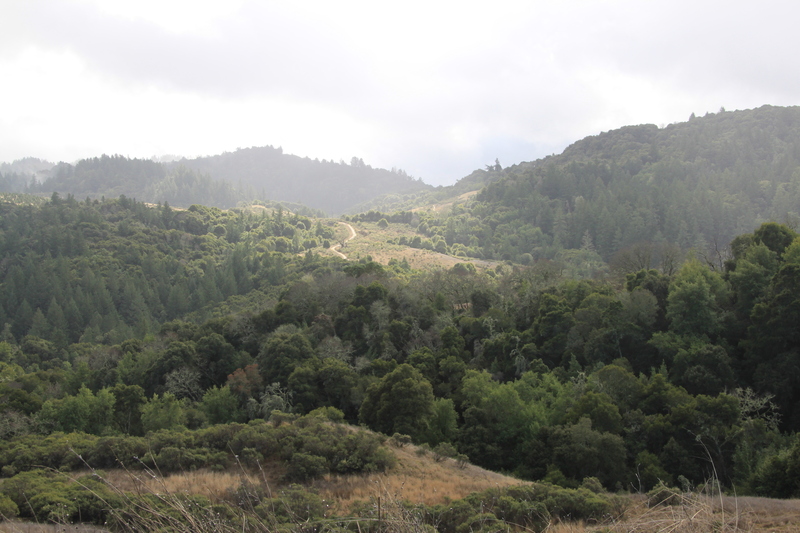 It’s only half a mile long and on a wide, dirt track that winds round a huge granite outcrop, down the mountain and along the creek, and back up to the parking lot. The trail would probably be suitable for jog strollers were it not for the fallen tree one currently has to scramble under at the creek. It is officially a self-guided nature trail and has numerous markers indicating sites of interest. Unfortunately, no informational leaflets were available at the start of the trail as promised. My boys enjoyed it anyway. 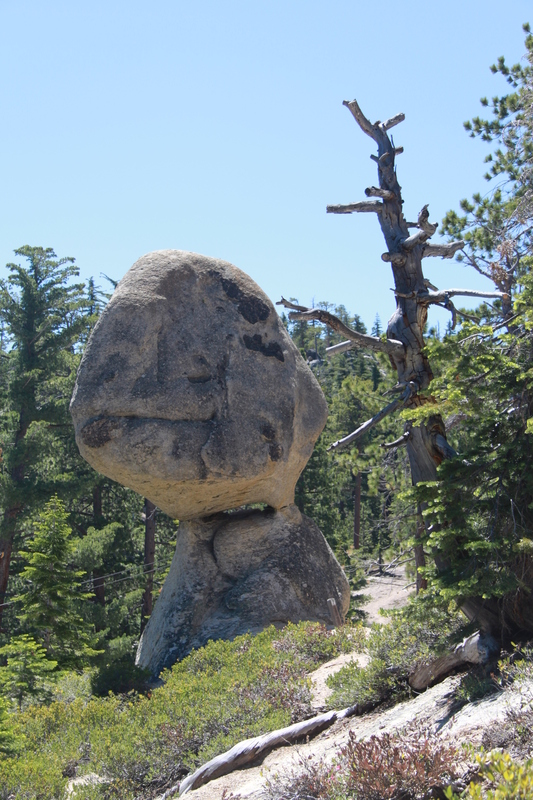 The Monkey had a great time scrambling down the trail finding all the numbers and was thrilled to discover that the giant granite balancing rock of the title looks a bit like a tyrannosaurus rex head. 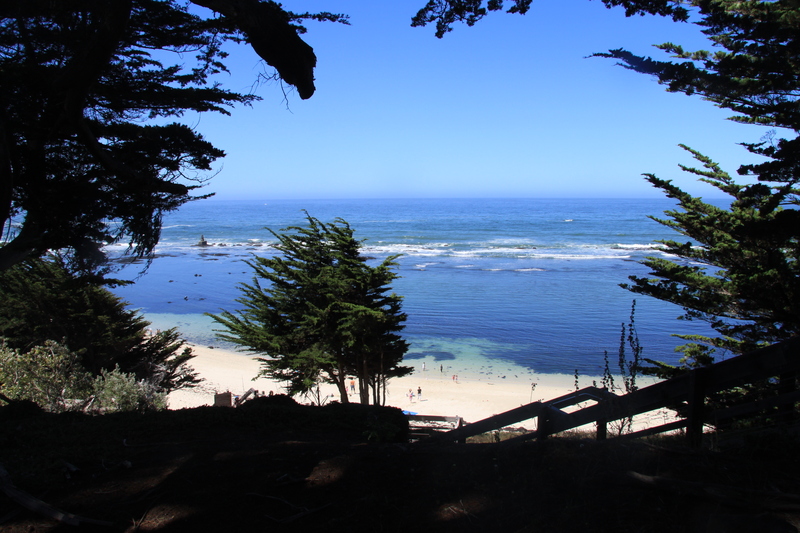 There are two lovely beaches in the park, Calawee Cove Beach and Lester Beach. The steps down to Calawee Cove are fairly steep. My three year old could manage them, but if you have a lot of stuff, or a boat, you might want to just head to Lester Beach where you can park feet from the sand. Both beaches are small and can get a bit crowded in high season, but the views are spectacular and the colour of the lake an unbelievable blue. 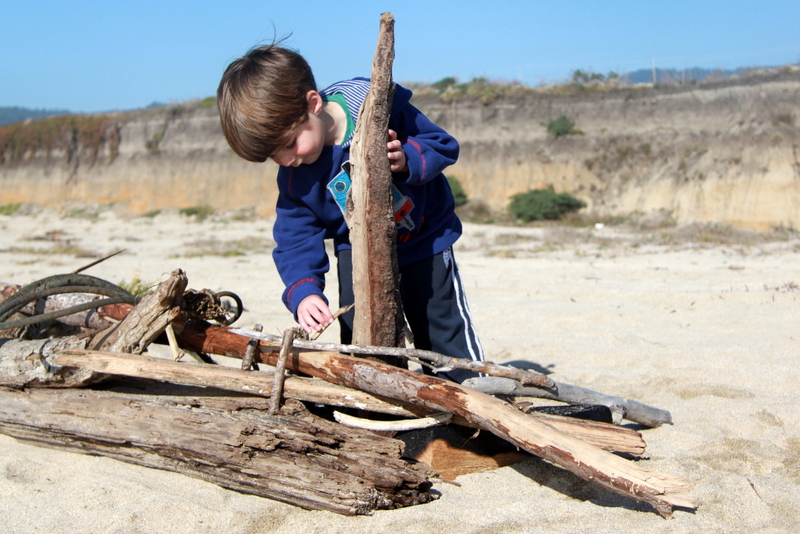 The boys had a great time paddling, watching the boats, and building driftwood forts. If you take food down to the beach, be prepared to fight off some of the most persistent and aggressive geese you’ve ever met. A couple of miles south of the park you’ll find the parking lot for Vikingsholm State Park–be warned, go early in the day as the parking lots gets insanely busy by mid-morning. 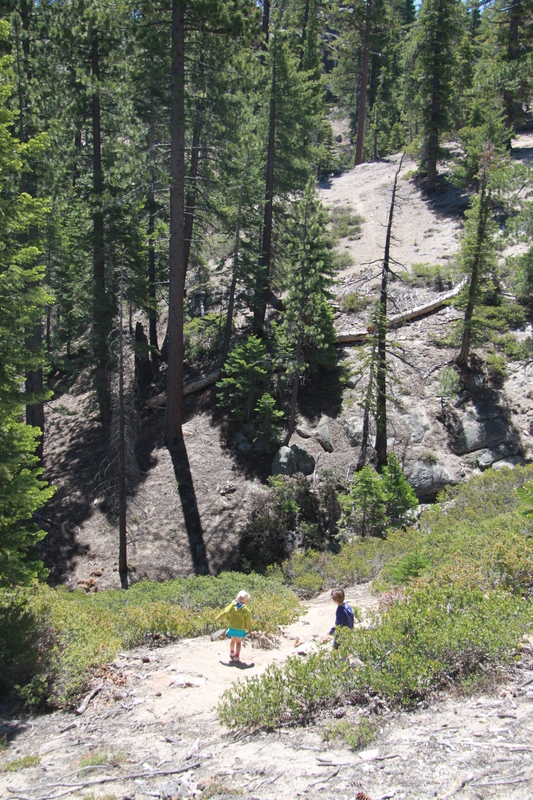 The trail leads straight down the cliff but is gentle enough for toddlers to manage it with ease. You could take a jog stroller as long if you don’t mind pushing it back up the hill at the end. At the base of the cliff is a beautiful little beach and lagoon and the Vikingsholm itself. Vikingsholm is the attractive summer residence built to the order of Mrs Lora J Knight of Santa Barbara in the style of a Norwegian farmstead. It has beautiful towers, wood carvings, and sod roof and is well worth a poke around. 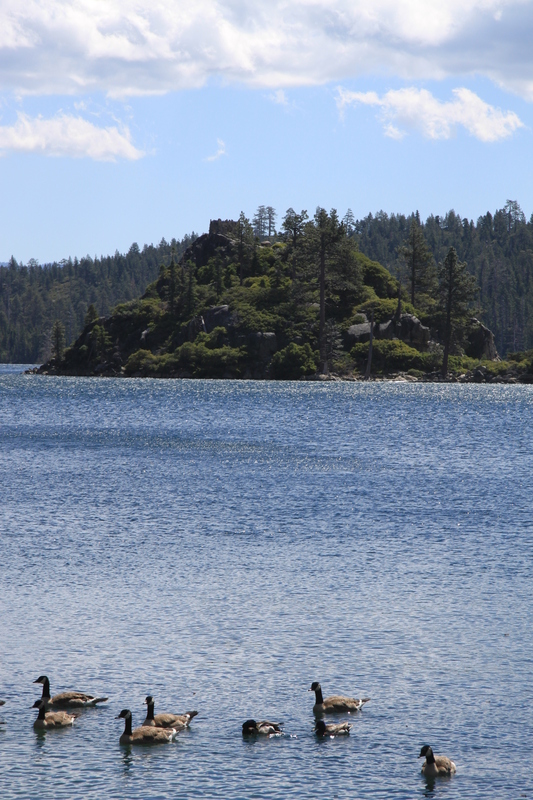 Even more fun, however, is the fact that Mrs Knight built a Tea Castle–yes, a castle in which to take afternoon tea–on the island (the only one in Lake Tahoe) that lies a couple of hundred feet off the shore. 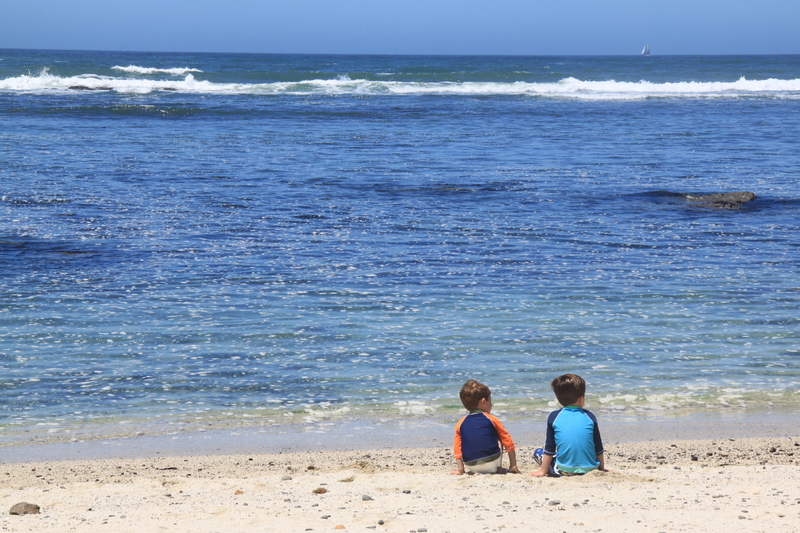 The kids enjoyed looking at the house, walking out on the jetty, and exploring the shoreline. Again, beware the crazy aggressive geese if you bring food. The perfect setting for afternoon tea. 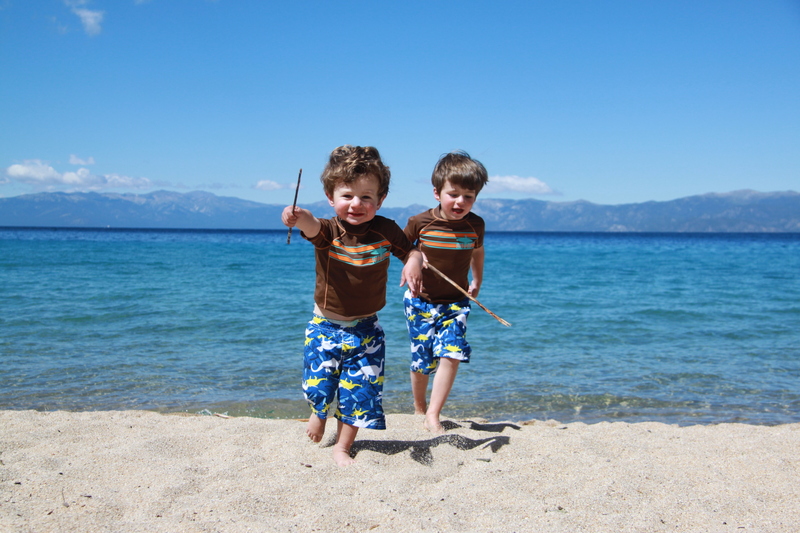 All in all Emerald Bay is an easy place to go with toddlers. It’s perhaps a little busy and ‘touristy’ feeling for my tastes, but if you get out onto the trails or into the woods you can get away from the crowds. And it really is spectacular scenery. That was the one who stole my sandwich Mom! 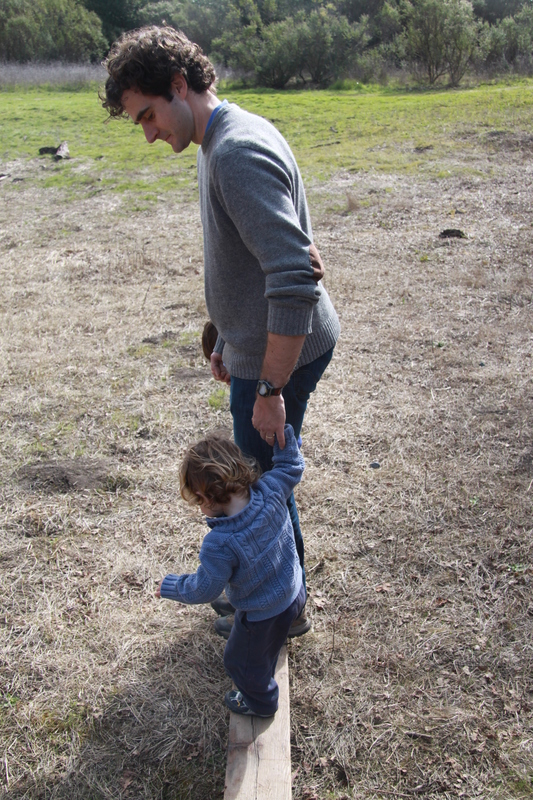 This weekend we went up to the Skyline Ridge Open Space Preserve for the Family Bird Festival which had been postponed from earlier in the year. 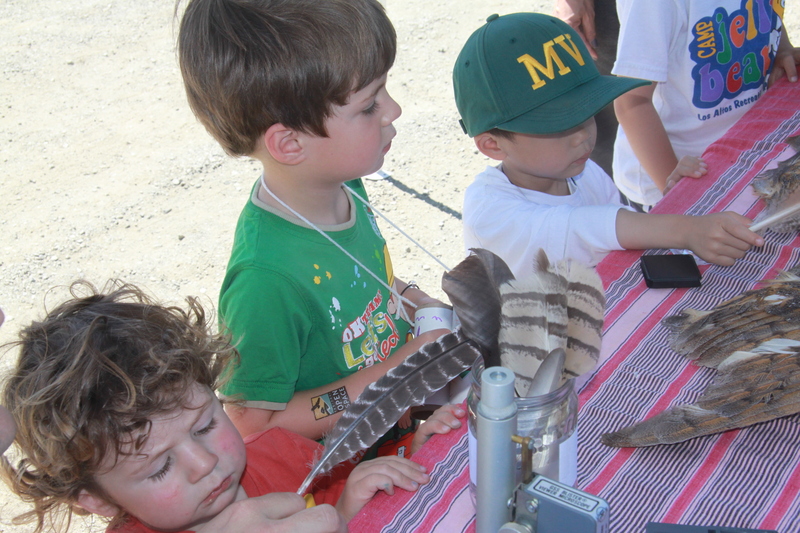 It’s always hard to know what such events will be like but this one, run jointly by the Regional Open Space Preserve and the Santa Clara Valley Audubon Society, was quite lovely and perfectly suited for preschoolers. I loved that it was a very low-key event with lots of ‘old-fashioned’ hands-on booths and friendly, enthusiastic volunteers who were eager to engage visitors. The Monkey and I even learnt a little about birds. We had great fun identifying some of the birds we’ve seen in the garden this year on the plentiful birding charts provided. I was particularly happy to learn that it’s a Oregan Junco that my kids don’t like (apparently it has a mean looking head and likes to peck them whenever I go inside) and that the striking pair of brown, red and black woodpeckers who visit us on occasion are Northern Flickers. 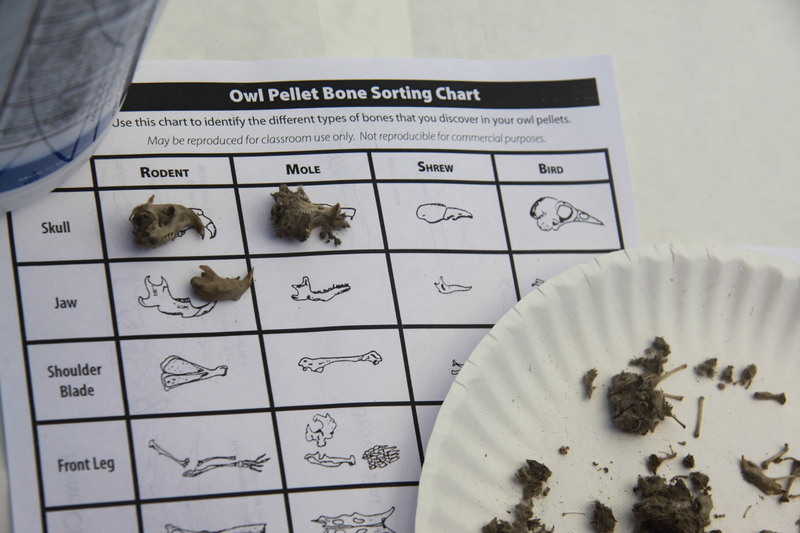 After we’d checked out the bird charts, we headed over to the dissection area where volunteers showed the boys how to take apart a barn owl pellet. This booth had been set up with great thought. First the kids could pull the pellets apart and discover little bones and skulls. Then they could glue the animal remains onto a chart which helped them identify the bones and hence what the owl had been eating. 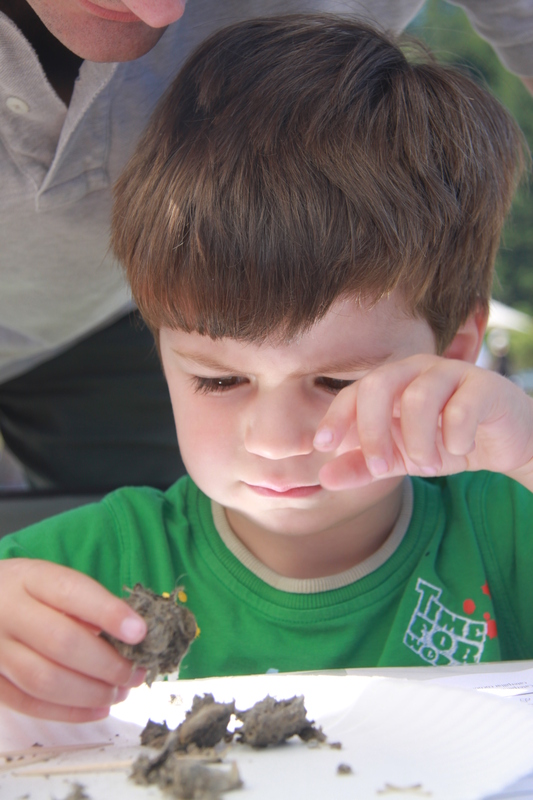 There was also a crafts area where the kids made ‘water cycle’ bracelets and binoculars for bird-spotting, and a science area where the kids could look at, and touch, owl wings, feet and feathers and all different types of local bird nests. The teen manning the area was impressive in his knowledge of bird biology and habitats and really good at talking to little ones in a way that made sense to them. I also loved that the festival had set up a shady area with complementary drinks and healthy snacks where visitors could chat to local wildlife enthusiasts. 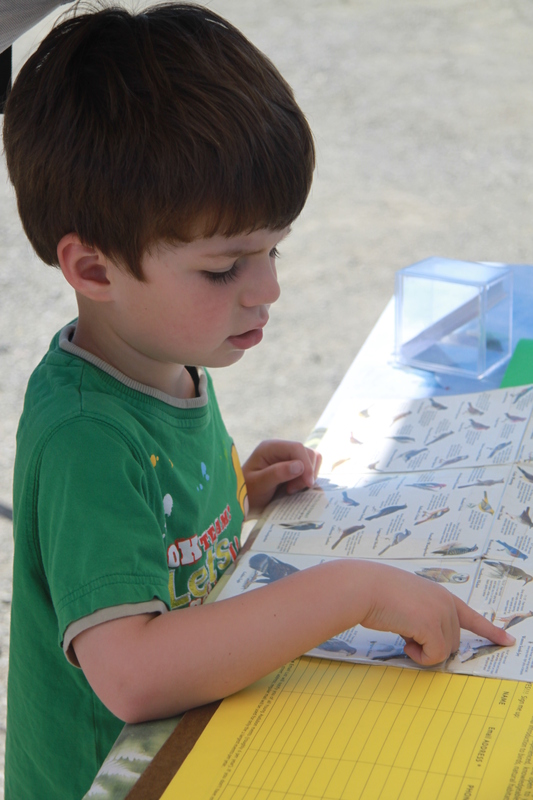 As well as the little exhibition area, the festival also included several docent-led bird walks in the preserve. We didn’t sign up for any as I was concerned our children would be too disruptive, but from what I saw on the day I think it would have been fine to have taken them along and next year we’ll sign up for one. 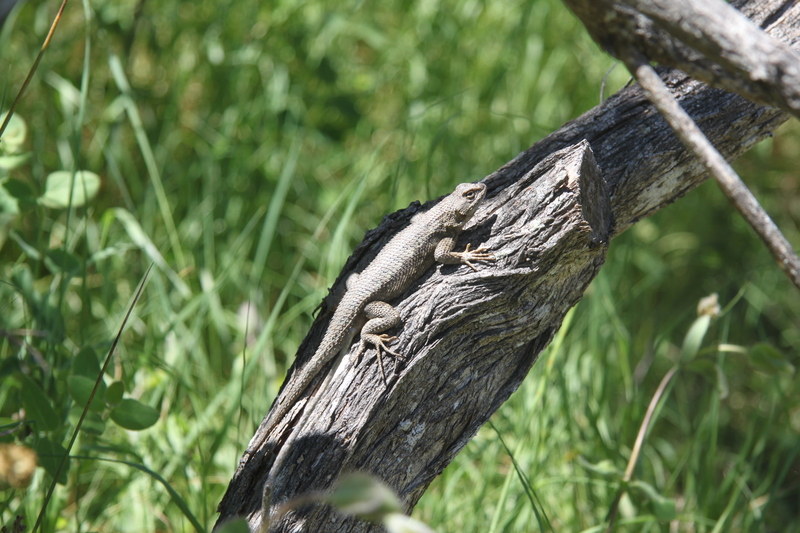 Instead of a formal tour, however, we did our own little hike round Horseshoe Lake and the boys had great fun spotting lizards, butterflies, ducks and their perennial favourite, sturdy sticks. The Wing Ding Festival was a really wholesome, educational and fun event and the only thing that made me a little sad was how poorly attended it was. There were maybe ten other families there, and I counted only two other preschoolers besides our kids. I’m really curious as to why that was. Was the festival just poorly advertised? (I think events like this don’t receive sufficient publicity and that’s one of the reasons for this blog). Was it too far away? Did it sound unsuited for preschoolers? Or did it just sound too dull? Or is it just that weekends get busy? 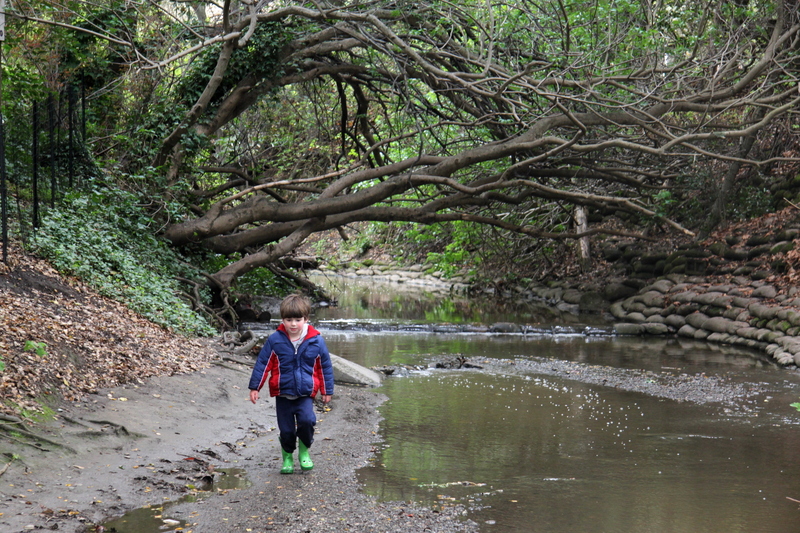 Rule 17 of parenting three-year-old boys: They can always get wetter. 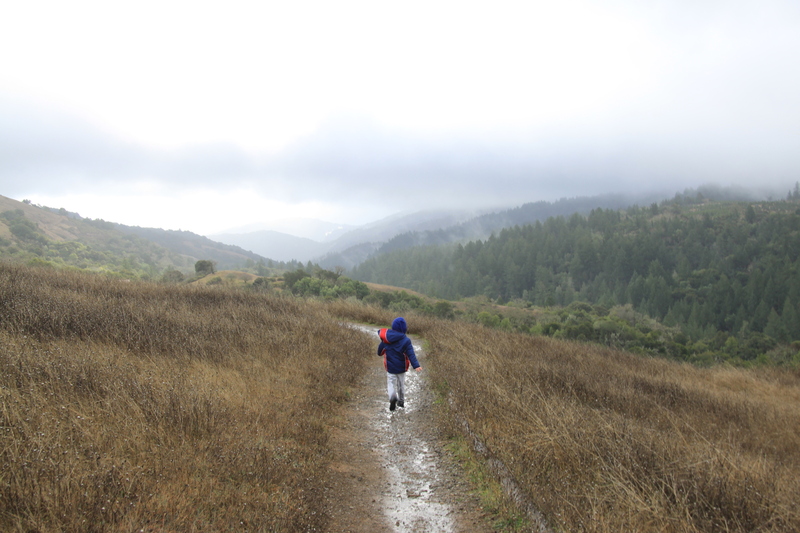 The boys really enjoyed this hike after the rain. 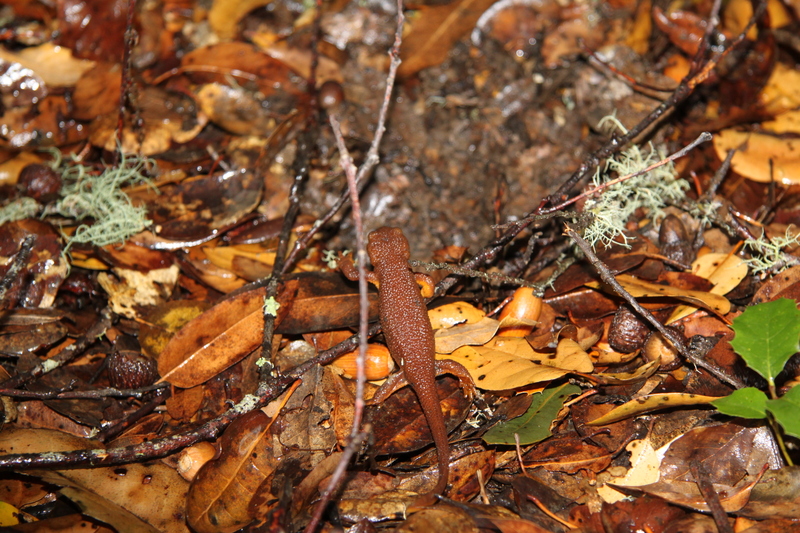 There were plenty of mud and puddles, and the wet really brought the wildlife out. Wet moss. It's even better than dry moss. On our hike this morning we came across an old plank and fallen tree branches settled in the bottom of a dried-out old pond. The boys wanted to play and the possibilities were endless. 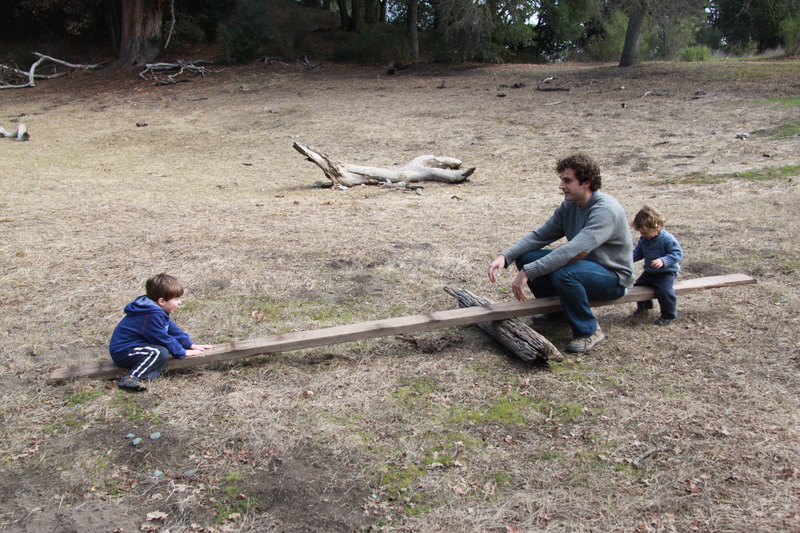 Then we experimented moving the fulcrum so that Daddy and The Monkey would balance each other. See, I said there was science involved! 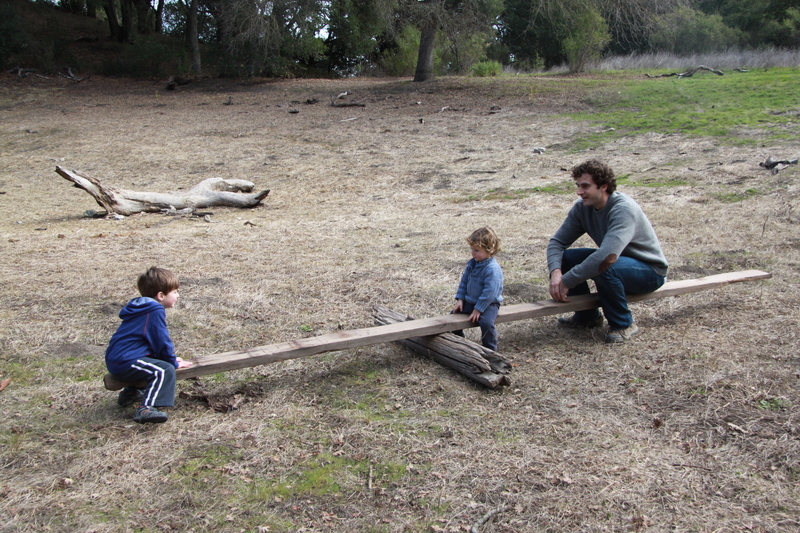 Then we experimented to see how we could get all four members of the family balanced on the plank with both ends off the ground. (This is the view from my end). 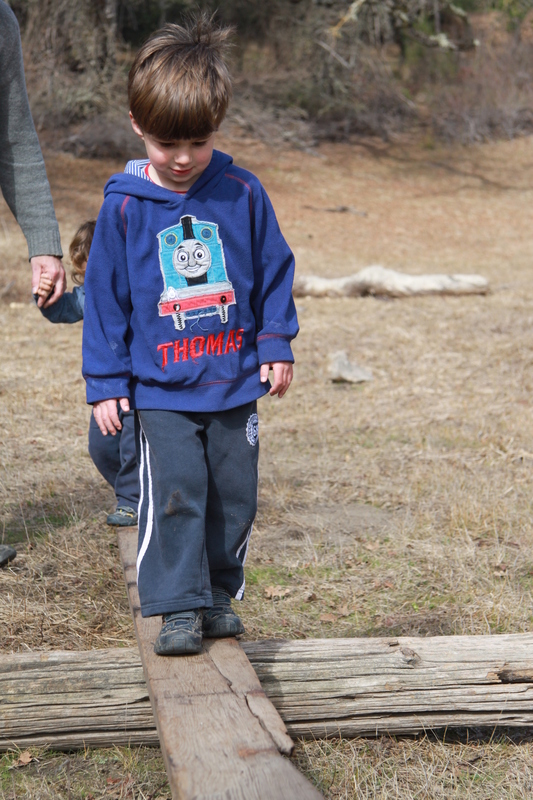 Then we practiced our balance as we took turns to walk along the plank/see-saw. So much fun! The boys were sad to leave at lunchtime, but waved goodbye to their new toy and hoped that other children would be along to play with it soon. My boys love to build. 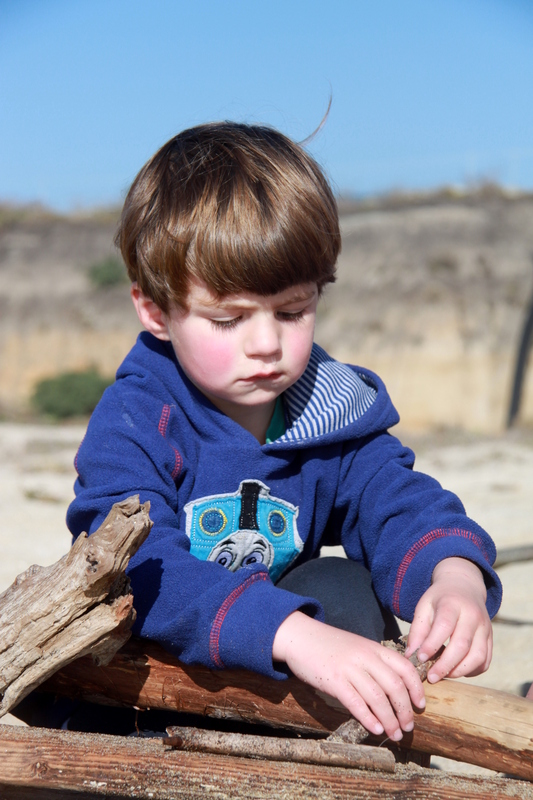 Beaches full of driftwood are a real favourite with our family and keep everyone occupied for hours. There are many things I love about this activity: it’s outside, it engages the boys’ creative thinking, it’s pretty much self-directed and it pushes their imagination. The fort doesn’t have to be entirely ‘finished’ for them to enjoy it.